Holman Chiropractic is a full service chiropractic and wellness center located in Tomball, Texas specializing in homeopathic care and holistic medicine. We are right off of business SH249. Located just across the street from Goodson's Cafe. Sign-up using the form or call us at 281-890-7710 to take advantage of this exclusive offer. Dr Holman is the best! I've experienced a lot of chiropractors in my life and he is great at what he does! Very knowledgeable, caring, and worth the wait! Highly recommend Dr Holman to all my friends and family! I have been going to Dr. Holman for over 9 years. He listens and is very thorough. He does not just crack your neck... I have been using chiropractic care since I was a child and I am familiar with a variety of styles. He uses many different chiropractic techniques which helps to individualize your treatment plan. He is also knowledgeable in holistic care as well. He has never pushed to just sell products. It is up to you. Family owned and they are a very caring family. I am a fan! My 14 year old son plays football in highschool. He came home from practice with shoulder pain and a recommendation from his coach to take him to his doctor. At our family doctor's office we were told that my son ripped a ligament from his shoulder and should be fine. I didn't feel comfortable with it diagnosis and reached out to Dr. Holman for a 2nd opinion. Dr. Holman shot x-rays of my son's shoulder and found he had broke his clavicle! I'm so glad that I decided to take him in to Dr. Holman! After our son suffering from years of ear infections we were told by his pediatrician that he would need tubes put in his ears. 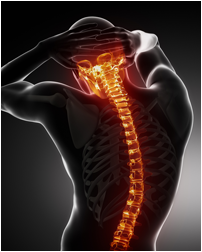 We decided to look into chiropractic care as a non-surgical alternative. The results were amazing! After a series of visits in our first week our son was no longer pulling his ears. After a month's, even the pediatrician was amazed by the results! After 3 months he no longer needed the tubes. I can't thank you enough Dr. Holman, you have helped our son through a particuarly difficult time and kept him from un-needed anthesia, painful surgery recovery and needless antibiotics!